The allegation marks the first time prosecutors have accused Trump’s chief campaign aide of sharing information related to the election with his Russian contacts. Although the filing does not say whether the polling information was public or what was done with it, it raises the possibility that Russia might have used inside information from Trump’s Republican campaign as part of its effort to interfere with the election on Trump’s behalf. 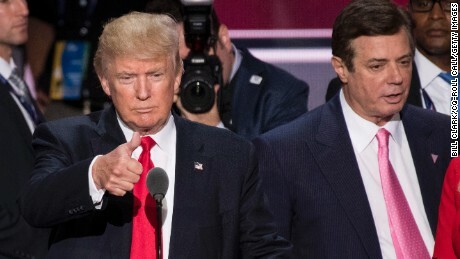 Manafort was among the first Americans charged in special counsel Robert Mueller’s investigation and has been among the central characters in the case, having led the campaign during the Republican convention and as, U.S intelligence officials say, Russia was working to sway the election in Trump’s favor. Manafort has pleaded guilty to conspiracy charges in Washington and faces sentencing in a separate case in Virginia. In its filing, the defense was trying to rebut allegations that Manafort intentionally lied to Mueller’s team after agreeing to plead guilty last September. Prosecutors say Manafort breached their plea agreement by lying, but defense lawyers argued that any misstatements were simple mistakes made by a man coping with illness, exhaustion and extensive questioning from investigators. The defense document acknowledges that Manafort conceded he had met with Kilimnik in Madrid only after being told that they had traveled to the city on the same day. Manafort spokesman Jason Maloni said Tuesday that the Madrid trip mentioned in the filing occurred in January or February 2017— months after Manafort was ousted from the campaign and as Trump was taking office. Manafort also did not initially disclose having earlier discussed a Ukraine peace plan with Kilimnik on more than one occasion during the 2016 presidential campaign. Russia and Ukraine have been locked in a conflict since 2014 over Russia’s annexation of Crimea. The U.S. and European Union have imposed sanctions on Russia over that move as well as the country’s support for separatist rebels in eastern Ukraine. Manafort’s attorneys don’t specify the details of the peace plan but they write that Manafort told prosecutors in September that “he would have given the Ukrainian peace plan more thought, had the issue not been raised during the period he was engaged with work related to the presidential campaign.